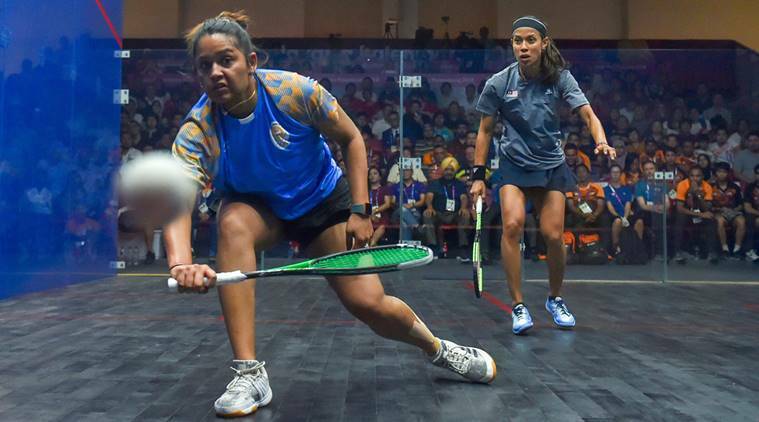 Dipika Pallikal had to settle with a Bronze medal after she lost her Women's Singles Squash semifinal match against Malaysia's Nicol David. India’s medal run at the Asian Games 2018 continued on Saturday as Dipika Pallikal, Joshna Chinappa and Saurav Ghosal clinched bronze medals in singles squash matches after losing their respective semifinal matches. Dipka lost her semifnal to defending champion Malaysia’s Nicol David. The 26-year-old suffered a defeat in straight sets against the former World number one 3-0 (7-11, 9-11 and 6-11). Chinappa failed to match up to the level of her 19-year-old opponent Sivasangari Subramaniam losing 1-3 (10-12, 6-11, 11-9, 7-11). And to end the day, Saurav let go of a 2-0 lead before going down 2-3 (12-10, 13-11, 6-11, 6-11, 6-11) against Chung Ming Au of Hong Kong China.